Technician in both general practice, private referral, and collegiate. I pride myself in always challenging my knowledge base, learning the science behind why our dogs do the things they do, and consider learning theory to be my specialty. 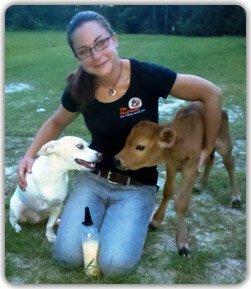 I earned my Bachelor’s degree from the University of Florida, continued to pursue multiple certifications in the area of Dog training and behavior, and continue to attend continuing education opportunities to stay informed on the latest scientific advances. I particularly enjoy fearful and aggressive dogs. My ultimate goal is to make a difference in the quality of life and understanding of dogs, and I believe that we can accomplish this together through education and available resources. I am committed to providing only the healthiest, most effective training services available for my clients. Please join me to make your dog’s happiness our number one priority.